If you are looking to order fruit for the office, we provide a friendly, flexible and reliable service. We aim to tailor our service to your company’s needs, tastes and budget. We can cater for small and large businesses alike on a regular (e.g. daily, twice weekly, weekly) or ad hoc basis, and we deliver across the UK mainland. Should you have any specific preferences or dislikes for the range of fruit in the workplace, we can alter the selection accordingly. Our fruit is bought each morning from reliable and trusted suppliers at highly-regarded traditional wholesale markets across the UK mainland. We only provide the highest grade fresh fruit to offices up and down the country. 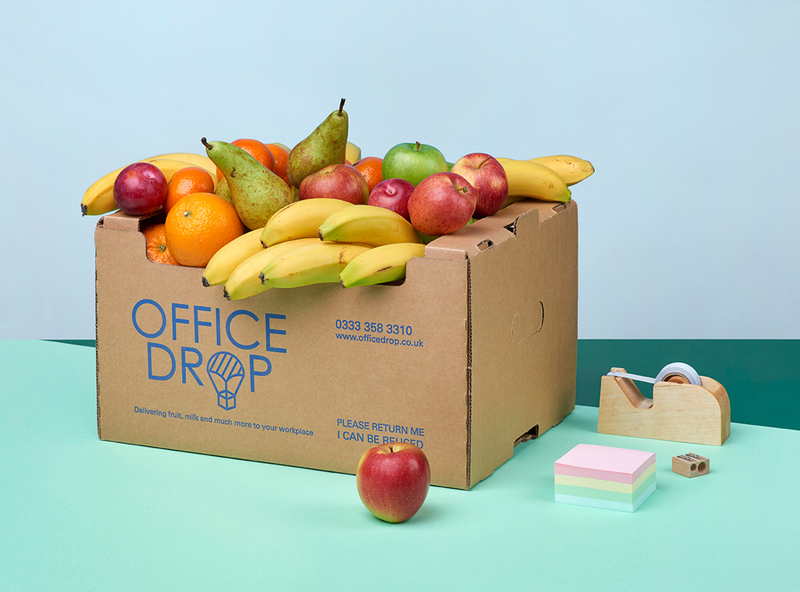 Officedrop employees hand select the fruit and pack it carefully into our boxes ready for delivery to your workplace. Each item of fruit is checked for imperfections and we offer a guarantee to replace any fruit should you find any damaged or over ripe. Simplify stocking up the office kitchen with regular deliveries of milk, tea, coffee and snacks. Like our fresh fruit boxes, our milk, drink and snack delivery service is reliable and tailored to your needs. We can also deliver a bouquet of beautiful flowers for your meeting room or reception desk. At Officedrop, our aim is to make your life easier by delivering office essentials straight to your workplace. Find out more about our milk, Nutribox, tea, coffee and flower delivery services, or call us on 0333 358 3310. We don’t believe in tying you into a contract. We will simply invoice you every four weeks with a thirty day payment term. If at any time you wish to stop using our service, all we ask is that you provide us with forty-eight hours’ notice. Invoices can be settled by BACS, cheque or credit/debit card.